FR0032 Delta Civilian Version "Swedish, TWA and Mexican Service"
FR018 Vickers/Casa Type 245 "Spanish Vildebeest"
Please see the boxart for the second Super Mystère B2 (FR0036) in the dedicated page. 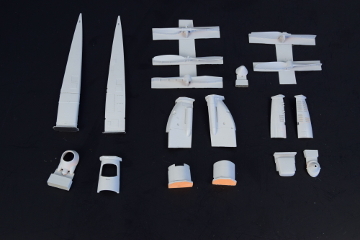 Super Mystère B2, see the 3D design for the additional sprue (tanks and Sidewinder rockets). 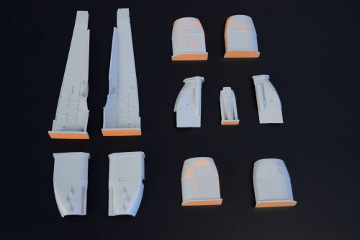 FR0035 Super Mystère B2 Early (1/72 nd) and FR0036 Late - Last tests were successful. 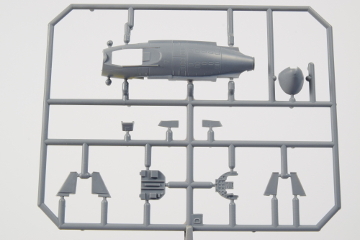 Two kits were assembled on Special Hobby booth in Telford. We are working on the decals. Upd : 8 th of March. 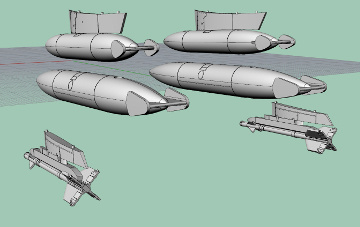 FR0037 and FR0038, Potez 25 A2/B2 show some progresses. We should be able to bring some parts to Nuremberg. We will later study the possibility of having also a Potez 29. 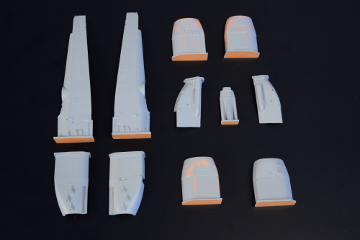 3D print of half fuselages (common TOE and A2/B2), engines, specific bottom of fuselages for A2/B2 and TOE are ready (preparation of molds), they were shown at Nuremberg and are of very good quality. Release in May, June at latest. Last update : 18 th of February, 2019. Project BIZERTE: the Newsletter Nr 05 has been sent in June 2018. 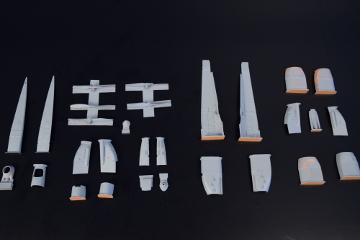 We were studying the possibility to get an injected-plastic kit of the Breguet Bizerte at 1/72 nd scale, but we need your opinion on the matter and support. please have a look at the dedicated page... If not enough people are interested, we will cancel the project. See also the Breguet Bizerte book. © 2012 All Rights Reserved • Design by FRROM.